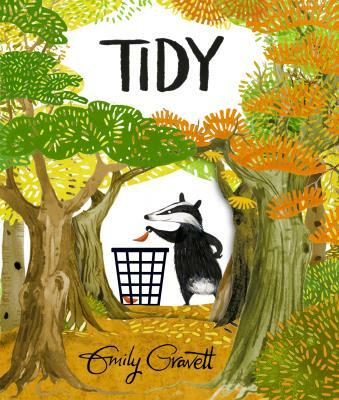 On Thursday April 7th at 2.30pm, come and join Emily Gravett in the bookshop garden marquee as we celebrate the release of her charming new picture book ‘Tidy’ – a very funny rhyming woodland tale about the perils of being too tidy. Pete the badger likes everything to be neat and tidy at all times, but what starts as the collection of one fallen leaf escalates quickly and ends with the complete destruction of the forest! Will Pete realise the error of his ways and set things right? 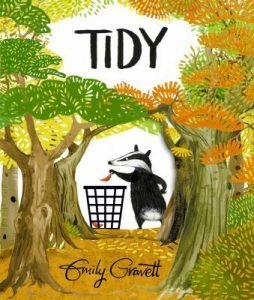 ‘Tidy’ delivers a timely environmental message which children will appreciate, with subtlety and humour, and is sumptuously illustrated in Emily’s unique style. Tickets just £2 entitle the bearer to £2 off one of Emily’s books. Emily has visited our bookshop many times before so should need no introduction – but just to remind you – she is an author/illustrator of unique talent and tremendous skill who has a host of critically acclaimed books to her name, including Wolves, Meerkat Mail and Again! 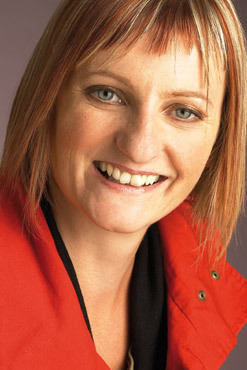 She is also twice winner of the prestigious Kate Greenaway Medal and the Nestlé Children’s Book Prize Bronze Award for Wolves and Little Mouse’s Big Book of Fears.